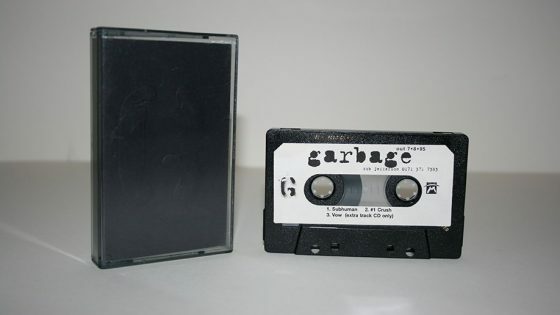 Promotional cassette in a standard case with black embossed G logo on the J-card insert. 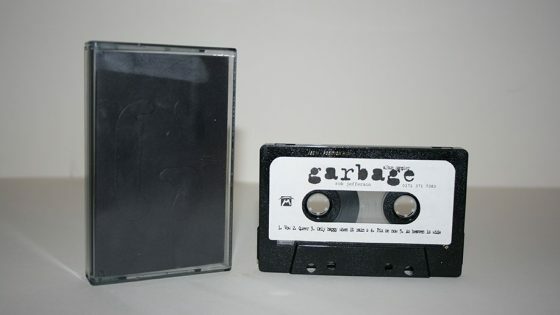 This same sleeve was used on the Subhuman and Garbage Sampler promotional cassettes. 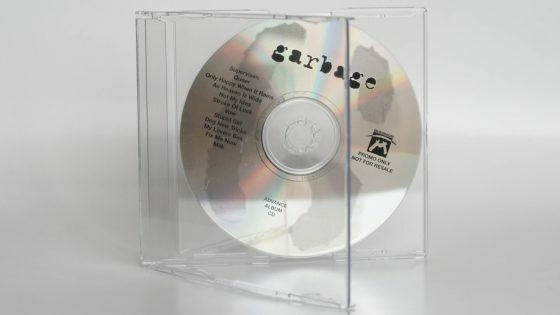 There is also a white insert which reads “the garbage album” followed by the full track listing. Promotional cassette, 3 tracks (Subhuman / #1 Crush / Vow) with embossed sleeve, 100 copies.